Now that additional family members have been located, there are vital records that need to be located and/or confirmed. In addition to the Arizona birth and death certificates that are already online, some indexes might also be available on FamilySearch. For recent deaths, any one of a number of the available Social Security Death Indexes should be checked, and any other available death indexes should be explored. A search of the records at FamilySearch did not turn up any records which were not submitted by patrons (other than SSDI). Most of the information matches the birth and death information which was located. 1. “World War I Draft Registration Cards, 1917-1918,” database and images, Ancestry.com (http://www.ancestry.com : accessed 29 Sep 2008), Max Mordacai Brodie, serial no. 3849, order no. A2550, Draft Board 0, Tucson, Pima, Arizona; citing World War I Selective Service System Draft Registration Cards, 1917-1918, National Archives and Records Administration microfilm M1509, roll 1522647; “California Death Index, 1940-1997,” database, Ancestry.com (http://www.ancestry.com : accessed 29 Sep 2008), entry for Max Brodie (23 Mar 1962); citing State of California Department of Health Services, Center for Health Statistics. 2. “Brodie-Scholefeld Wedding,” Tucson Daily Citizen, 10 Oct 1907, p. 5, col. 3; digital images, GenealogyBank.com (http://www.genealogybank.com : accessed 29 Sep 2008). 3. Arizona Department of Health Services, death certificate no. 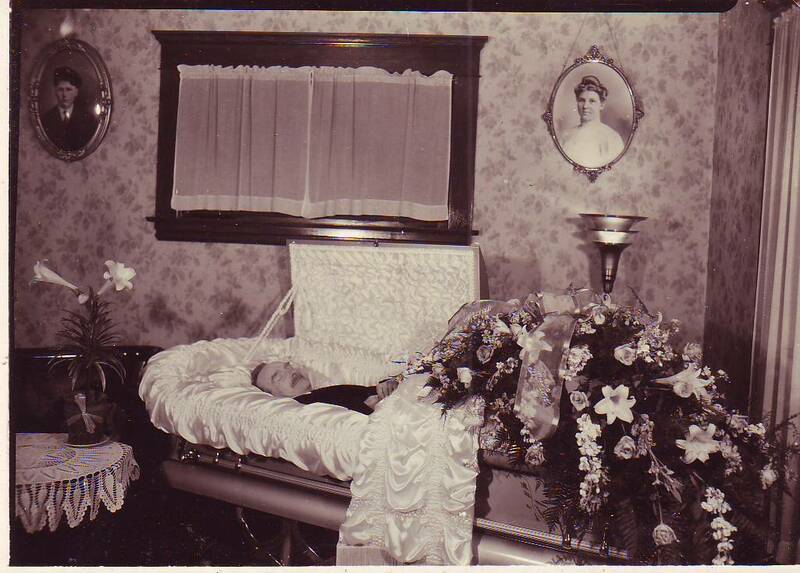 4822 (1957), Helen M. Brodie; digital image, Arizona Genealogy Death Certificates (http://genealogy.az.gov : accessed 17 Aug 2008). 4. Arizona Department of Health Services, birth certificate 897 (1909), Armour Major Brodie; digital image, Arizona Genealogy Birth Certificates (http://genealogy.az.gov : accessed 1 Oct 2008); Second document is an amendment to provide infant’s full name; Social Security Administration, “Social Security Death Index,” database, Ancestry.com (http://www.ancestry.com : accessed 30 Sep 2008), entry for A. Brodie, 1970, SS no. 526-12-9323; “Fire Kills Tucsonian; Smoking Abed Cited,” Tucson Daily Citizen, 12 Nov 1970, p. 1, col. 5-6; “Funeral Notices: BRODIE, A. Major,” Tucson Daily Citizen, 13 Nov 1970, p. 44, col. 2; digital images, NewspaperArchive.com (http://www.newspaperarchive.com : accessed 6 Sep 2008). 5. See post dated 30 Sep 2008. 6. Social Security Administration, “Social Security Death Index,” database, Ancestry.com (http://www.ancestry.com : accessed 28 Sep 2008), entry for Carl Scholefield, 1966, SS no. 527-56-2890; “California Death Index, 1940-1997,” database, Ancestry.com (http://www.ancestry.com : accessed 1 Oct 2008), entry for Carl B Scholefield (10 Nov 1966); citing State of California Department of Health Services, Center for Health Statistics. 7. Social Security Administration, “Social Security Death Index,” database, Ancestry.com (http://www.ancestry.com : accessed 1 Oct 2008), entry for Alice Scholefield, 1979, SS no. 553-84-2616. 8. “California Birth Index, 1905-1995,” database, Ancesty.com (http://www.ancestry,com : accessed 1 Oct 2008), entry for Blissie Scholefield (16 May 1912); citing State of California Department of Health Services, Center for Health Statistics; Social Security Administration, “Social Security Death Index,” database, Ancestry.com (http://www.ancestry.com : accessed 29 Sep 2008), entry for Blissie H. Lee, 1995, SS no. 527-26-7303. 9. Arizona Department of Health Services, birth certificate no. 332 (1913), Katherine Hester Scholefield; digital image, Arizona Genealogy Birth Certificates (http://genealogy.az.gov : accessed 28 Sep 2008); Social Security Administration, “Social Security Death Index,” database, Ancestry.com (http://www.ancestry.com : accessed 1 Oct 2008), entry for Catherine Schnitter, 2005, SS no. 527-01-3687; “America’s Obituaries & Death Notices,” database, NewsBank, inc. (http://0-infoweb.newsbank.com.librarycatalog.pima.gov/ : accessed 30 Sep 2008), obituary for Catherine “Katie” H. SCHNITTER; citing Reno (Nevada) Gazette-Journal, 30 Dec 2005, p. 8C. 10. Arizona Department of Health Services, birth certificate no. 286 (1915), Ada Virginia Scholefield; digital image, Arizona Genealogy Birth Certificates (http://genealogy.az.gov : accessed 28 Sep 2008); Social Security Administration, “Social Security Death Index,” database, Ancestry.com (http://www.ancestry.com : accessed 1 Oct 2008), entry for Ada Virgin I. Matson, 2005, SS no. 527-07-6700; “Obituaries: Ada Virginia Matson,” Mountain Democrat, 10 Jun 2005, p. 13, col. 2; digital images, NewspaperArchive.com (http://www.newspaperarchive.com : accessed 30 Sep 2008); “Lt. Charles E. Matson Claims Arizona Girl As His Bride,” Reno Evening Gazette, 21 Nov 1945, p. 12, col. 4-6; digital images, NewspaperArchive.com (http://www.newspaperarchive.com : accessed 30 Sep 2008). 11. “U.S. World War II Army Enlistment Records, 1938-1946,” database, Ancestry.com (http://www.ancestry.com : accessed 1 Oct 2008), entry for George B. Scholefield, enlisted 21 Sep 1944; Electronic Army Serial Number Merged File, 1938-1946, archival database; World War II Army Enlistment Records; Records of the National Archives and Records Administration, Record Group 64; Montana State Genealogical Society and Ancestry.com, “Montana Death Index, 1907-2002,” database, Ancestry.com (http://www.ancestry.com : accessed 29 Sep 2008), entry for George B Scholefield (1957). 12. Arizona Department of Health Services, birth certificate no. 474 (1919), Carroll Mae Scholefield; digital image, Arizona Genealogy Birth Certificates (http://genealogy.az.gov : accessed 25 Sep 2008); Second document is an amendment to correct the spelling; “California Death Index, 1940-1997,” database, Ancestry.com (http://www.ancestry.com : accessed 1 Oct 2008), entry for Carol M. Tuttle (14 Apr 1965); citing State of California Department of Health Services, Center for Health Statistics. Carol Schofield was married to Johnny William Tuttle.